7 Step Wet Steps Dock Ladders. ** TIP - ship to a Commercial/Business address and you can bypass the Residential delivery fee and save money on freight. 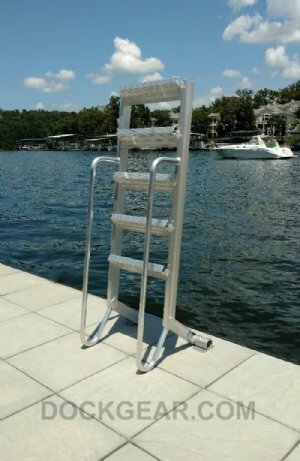 7 Step Wet Steps Dock Ladders are constructed from heavy-duty marine grade aluminum. 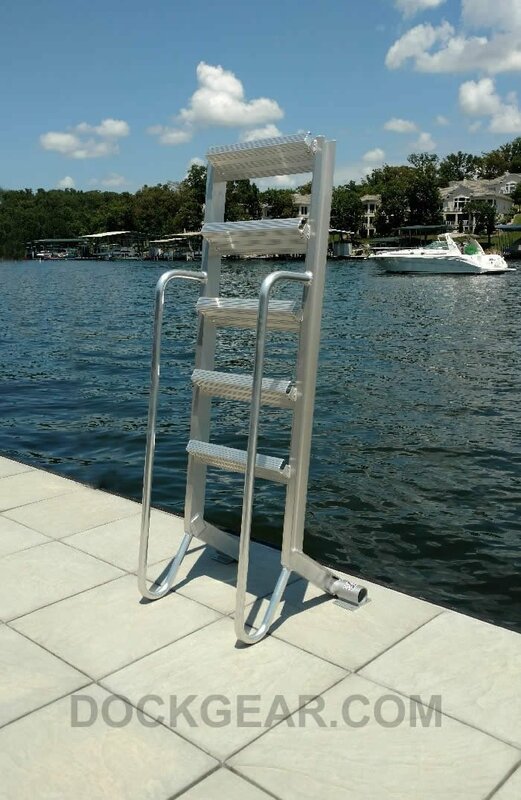 Overall Ladder Length (from mounting point to end of ladder, in the water): 74"
Review Comments: Fantastic! They are so comfortable and easy to climb, plus they do not hurt your bare feet! Review Comments: We just installed the ladder on our dock. It is very sturdy and easy to move up and down. I think it will be great for older adults and small children. I like the red color. "Good Service for a Great product"
Review Comments: The response to my initial inquiry was prompt and very helpful. Queastions were quickly answered. 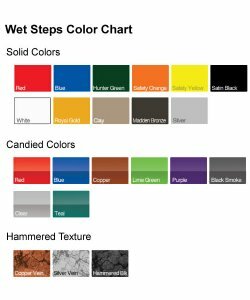 Once the order was placed it was rilled quickly with a product that fully met our neds.